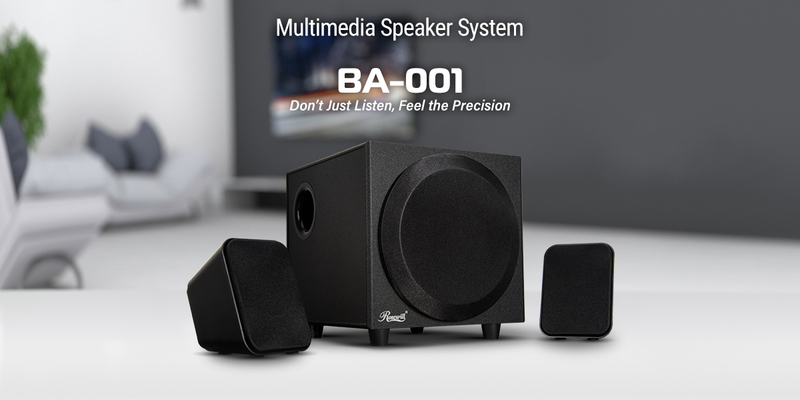 Two satellite speakers with precise sound positioning and a 3 inch subwoofer recreate realistic entertainment. 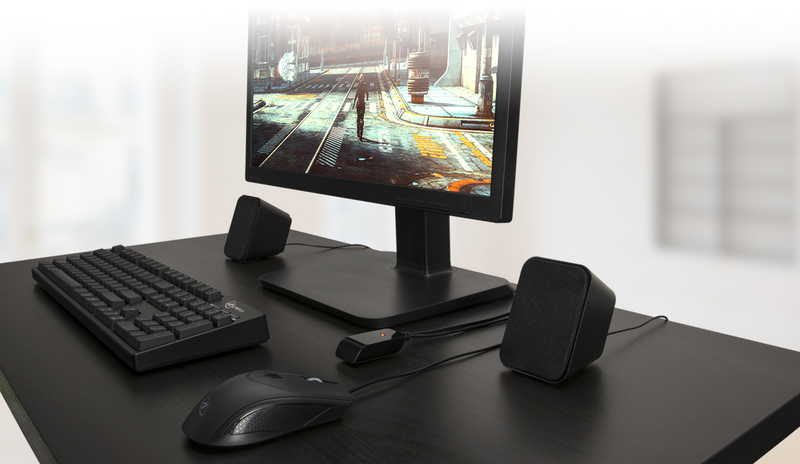 Immerse yourself in gameplay and movies with accurate sounds accompanied by deep, solid bass. 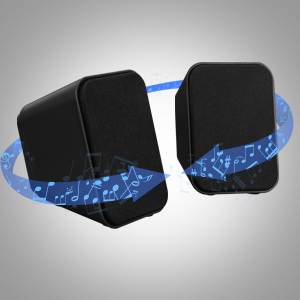 Balanced sound positioning plus sealed speaker enclosure reduces unwanted vibrations and echoes. 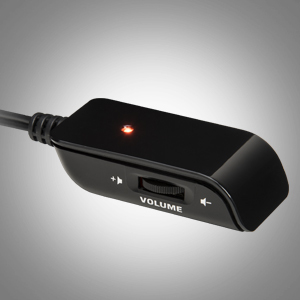 Built-in satellite controls provide easy access to volume adjustment. 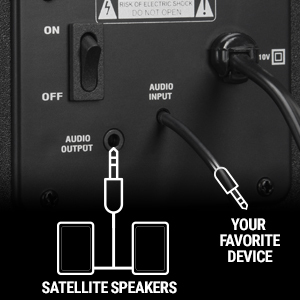 Connect satellite speakers to the subwoofer, plug the audio input cable into your favorite device, adjust master volume control and enjoy! 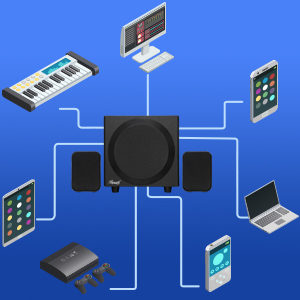 Plug and play on multiple 3.5 mm AUX-compatible devices including: desktop computers, laptops, tablets, mobile phones, PS4, Nintendo Switch and other portable devices.